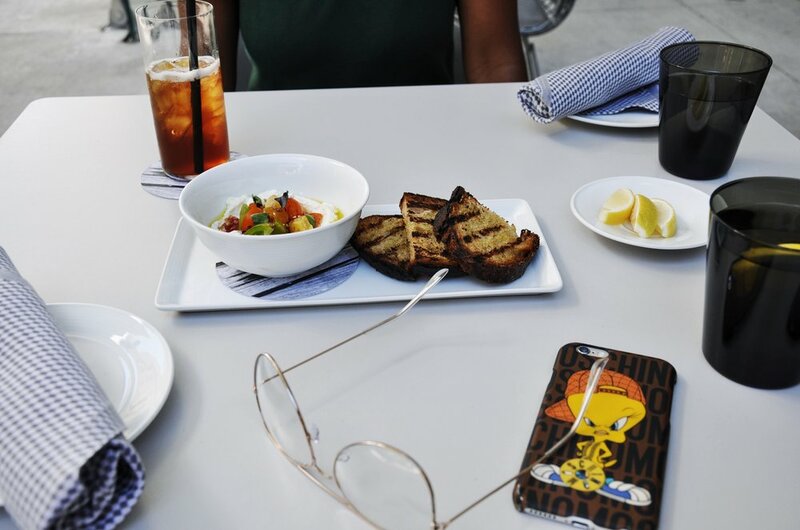 If you are looking for the perfect little "in-between meals" nosh downtown, Untitled at the Whitney is the perfect spot for you. I mean, it's an awesome place for any meal of the day, they serve everything from brunch to lunch, and happy hour to dinner. However, the snacking begins in between 2:30pm and 5:30pm. Whether you were out strolling the Meatpacking District/Chelsea and in need of an energy boot, or you are looking for a break in between museum tours. At Untitled, I recommend the ricotta with heirloom tomatoes and aged balsamic on grilled bread. It is a quintessential snack to add to your NYC cuisine list! Untitled offers inside and outside seating. 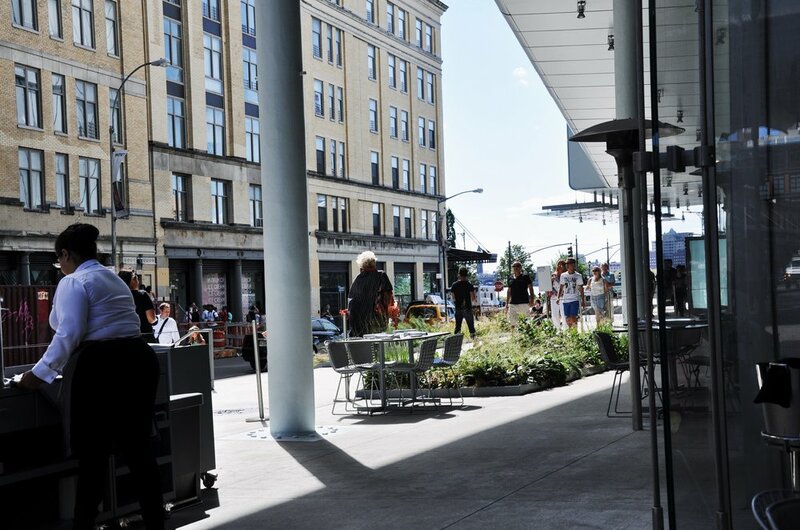 If you choose to sit outside on the Whitney Museum's patio, you will have endless views of total New York vibes. The High Line runs directly adjacent to one side of the patio, and you will get to enjoy the modern architecture of the museum.